There was a time when something fashionable had nothing to do with trends; it had to do with the way we styled our clothes and the way we would wear it in many different ways. Buying one pair of shoes or getting a new jacket would keep us happy the entire season and sometimes the entire year. We couldn't wait to get home and wear that new piece with everything we had in our armories. Oh...I remember those days...yes, for me those stylish days were the 90's. Nowadays, we are experiencing a nitrogen-injected fashion. It's so fast that you really don't know what's in or out anymore. Obviously, these days, fashion is driven by the social media and as social media itself, it's hard to keep up with. 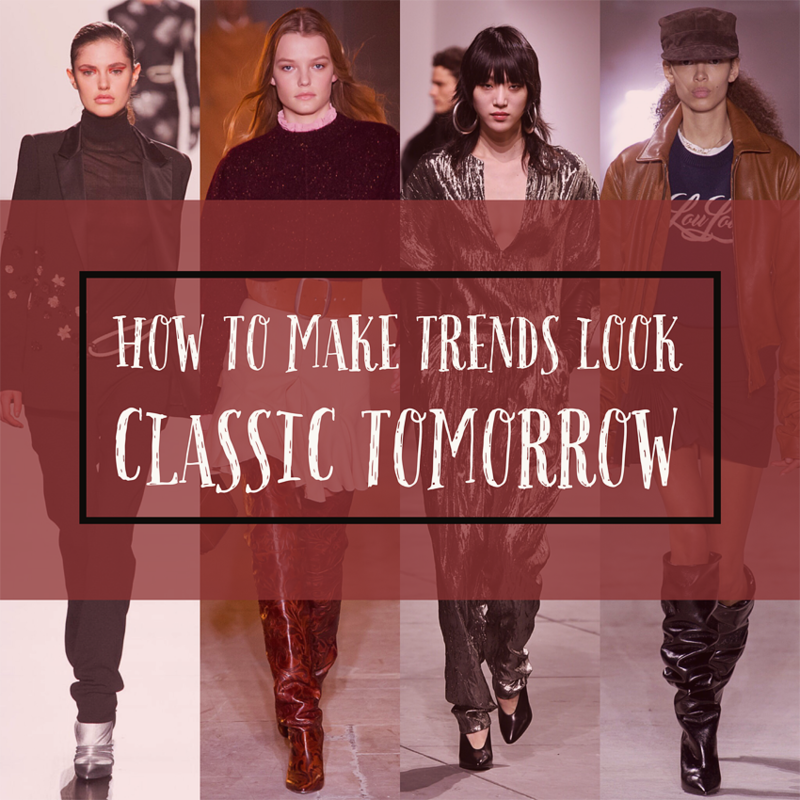 All that being said, there is an easy and smart way to wear a trend today and make it look classic tomorrow. Yes, it can be done!! The only thing you have to do is to select the most simple pieces within the trends that you like. I've always believed that the most exaggerated trends are the ones that usually go out of style faster. Just to give you a few examples, I"ll share with you five garments or styles that are trending now and I'll show you my suggestions from those trends that will have more longevity. I'll also share an example of how I've been wearing them. This is a very 80's trend that we're seeing again everywhere these days. Many designers are bringing this trend with flamboyant details, such oversized metallic buttons, super shiny fabrics, bright large prints, wide receiver-esqué shoulder pads, pastel colors...etc. 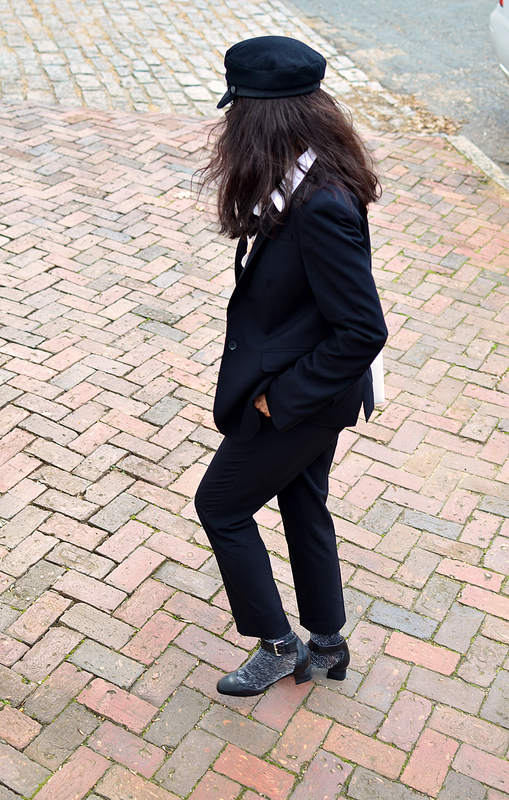 I love the overall idea of a softer and easier look of a pantsuit, however, in order to join the trend in a clever way, I would go for the simpler, clean lines of a slouchy-fit suit. This is how I styled mine last year. As you can see, instead of buying a suit with embedded bling, I opted for a cleaner style and yet slouchy enough to also wear it for more casual occasions. I was able to give it the fashion-forward bling by wearing it with affordable and trendy accessories such as glittery socks. Belts, in general, will be getting a lot of wear this Fall, but the wide belt is the one taking the best in show award. I've always been a huge fan of belted styles. I don't mind letting my waist be the center of the attention. 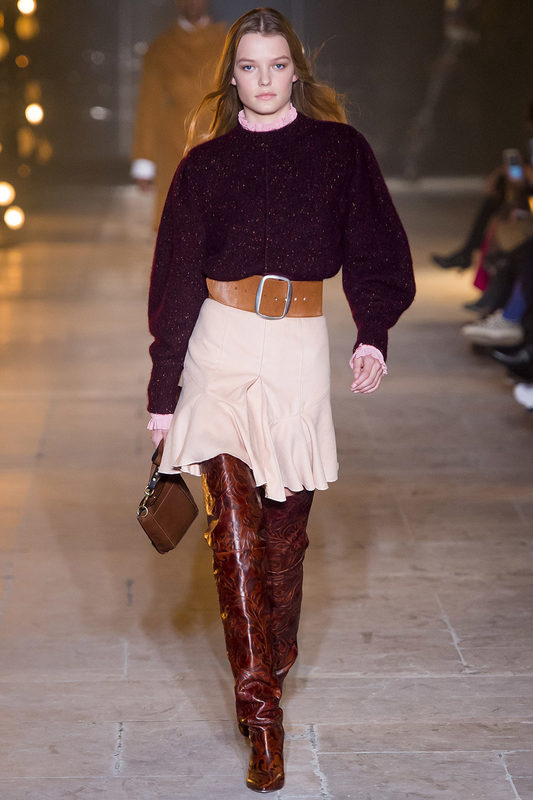 This is a very stylish trend, however, an extremely oversized belt can be too much for most petite or average height women, besides the fact that it will look outdated soon. So the best bet for most of us is to opt for a wide belt that will keep us fashion-forward, with simpler details and yet won't cover 90% of our torso. As I said above, the most exaggerated trends are the ones that go out of style faster. The widest belt I own is 3 inches wide and it's quite a statement piece, therefore, I keep things simple around it. 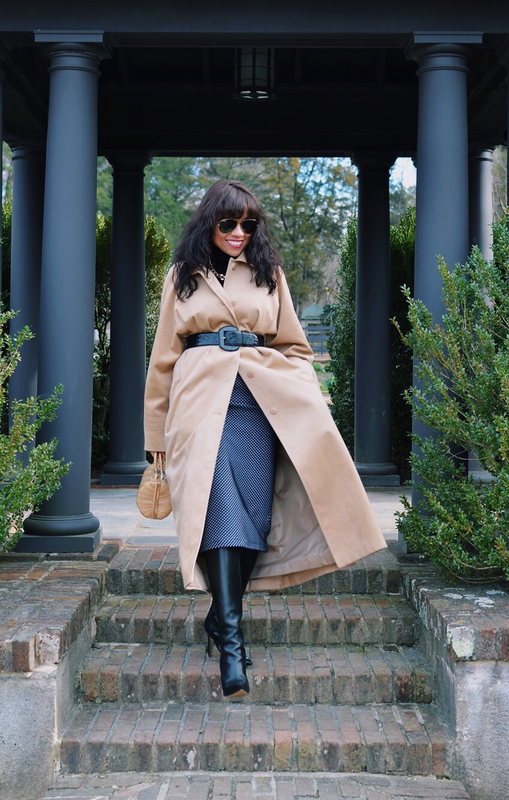 The one I'm wearing with this coat is 2 inches wide and it's by far, the most versatile belt I own. 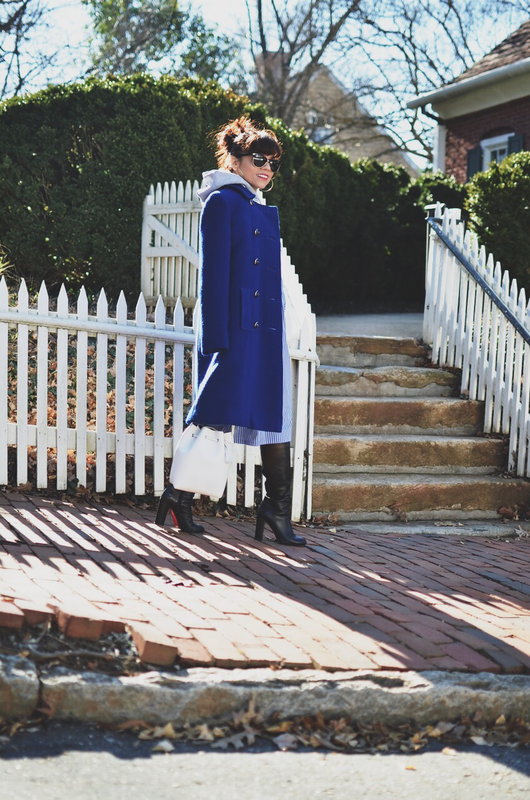 The width is perfect to stand out even when styled with the statement piece such as a long suede coat. Regardless of trends, this vintage belt always will look up-to-date and it will continue cinching my waist for a very long time. Remember, a well-crafted belt can definitely give your outfit a very classy and polished look. The Studio 54 shine is back and now you don't have to reserve this glamorous look only for the night. You can get into this shiny vibe by purchasing the most versatile item within the trend and yet be able to wear now and wear for years to come. I always try to keep something metallic in my wardrobe. I totally love the pop of shimmer without looking tacky or like a disco ball. 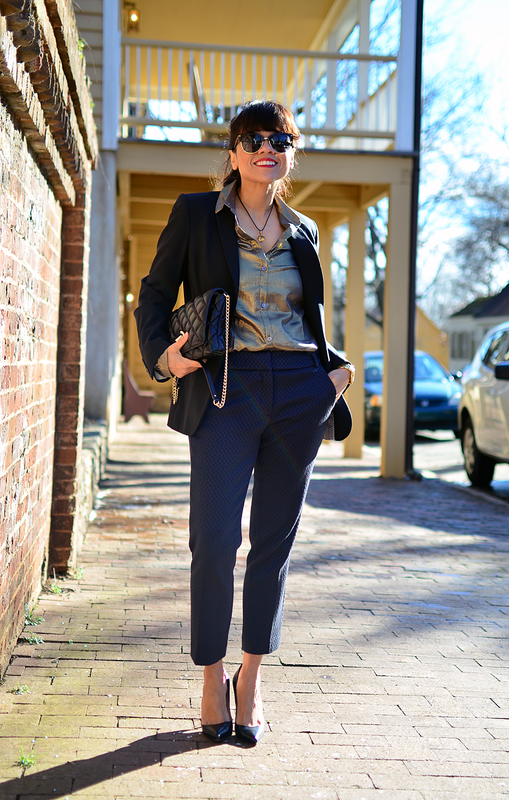 My button-down metallic top brings so much glamour to my outfits and since the design is a classic, I can pair it with pretty much everything in my wardrobe. The slouchy boot was a trend from the 80's that I did not miss. In fact, I have a photo of me in my living room from back in the day that can prove my love for that style of boot. This past Spring the super slouchy boots dominated the runway during 2017 fashion month. 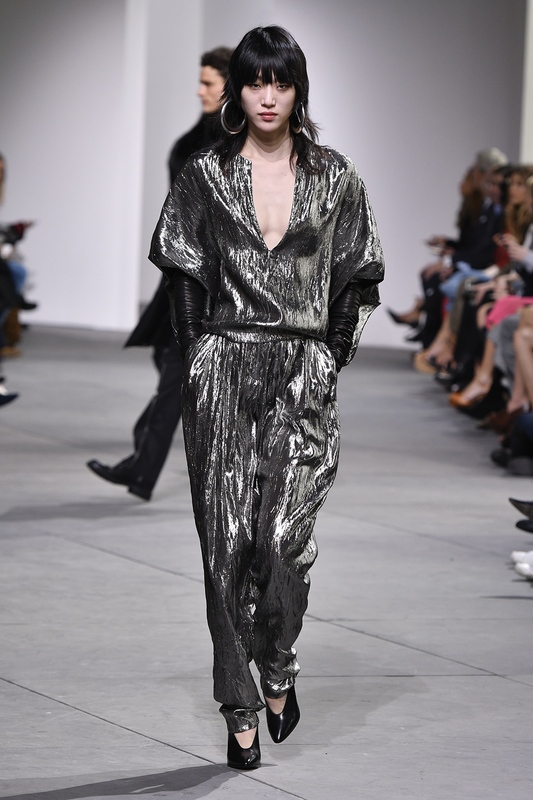 Saint Laurent had the most slouchy ones, however, other designers didn't fall too far behind with similar styles. If you love these boots but don't want to waste your money on a trend that will be pasé a few months later, you can always opt for a soft leather boot that will slouch naturally and some will do so only around your ankles. As you can see below, my boots have a nice natural slouch, and because their subtle leather they can be pushed down for a more dramatic slouch. So far, I let them slouch naturally because the look is classic. That being said, I might wear them later with a more obvious slouch just to have fun with the trend. That's the beauty of these type of boots; it's up to you whether you want to wear them in a trendy way or just keep the style classic. My favorite look with these boots is with dresses and skirts with a long hem line, just like I'm wearing them in the photo. 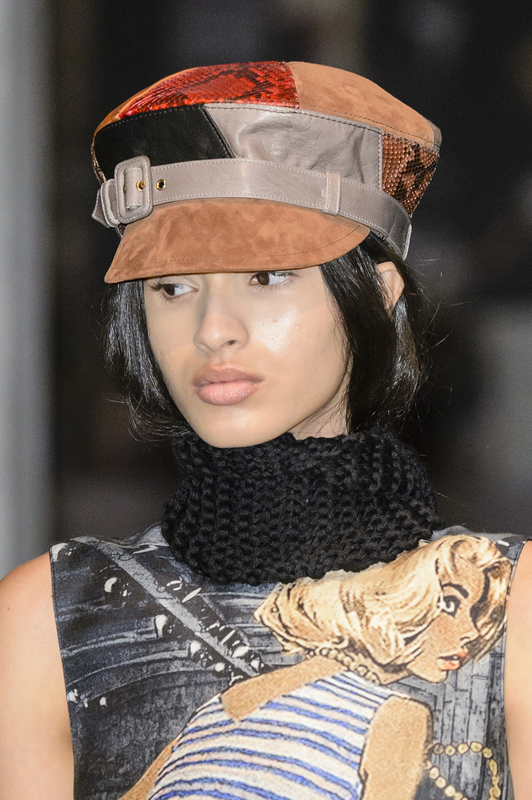 This trend wasn't a surprise for me, simply because this hat is so stylish that I just can't see the world going on without it. Every year they update their look by adding bells and whistles, but the overall shape still remains the same. If you never tried on these type of hats, this is the year that you should. You will find so many options at the stores (including vintage and thrifts) with many different materials and colors. That being said, the best choice is always the one with classier lines and neutral shades. I have three myself, but I keep wearing my black one year after year. This hat was given to me four years ago and I haven't stopped wearing it since. Because of its clean lines, I can wear it all the time and it will never look outdated. This Fall, I'm planning to wear it again with my laid-back or semi-dressy outfits. I hope you enjoyed this post and found inspiration with the way I approach trends and how I make them last a very long time without looking outdated.